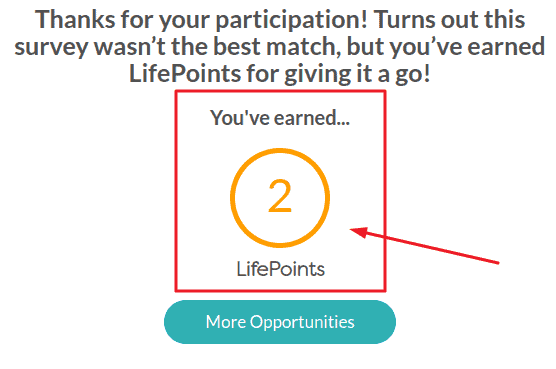 LifePoints Review: Surveys For Rewards? Last updated on April 7, 2019 By Nat Leave a Comment This post may contain affiliate links. We appreciate you supporting Rags To Niches! Full disclosure here. Some time ago, Global Test Market Switched their points system from market points, to LifePoints. This has prompted me to check out the Lifepoints platform, after some people feel the amount they now get per survey, is significantly less. Is LifePoints Worth It? Concluding Thoughts. Beyond Survey Panels – If You Want To Make More! Fed Up Of Making Pennies? Learn New Skills Here! Lifepoints was once an App, but the App has now been discontinued and there is a website instead. It is what’s known as a paid survey website, where you can earn a small financial reward for sharing your opinion. This involves completing surveys of various lengths. The answers you give will influence brands Worldwide. Feedback is essential for businesses and brands to improve their products and services. This is why they enlist the help of companies like LifePoints, that connect them to people like you! By answering surveys, you can accumulate points and once you have made enough points, you can exchange them for various rewards. Looking For More Paid Surveys? Check Out This List! It’s simple to sign up to LifePoints and it’s free to do so. You need to give your name/email and create a password and then you’ll need to add your home address as well. Once you’ve done this, you need to confirm your email address by clicking on the link they email you. From here, you need to complete your profile – some profiling questions will pop up immediately, as soon as you’re on the platform. How many people in your household. How many children you have. After you’ve completed your profile questions, which takes about 1 minute and you can get an additional 10 points for this. So, I had 20 points pretty quickly… But that left me wondering how much work I would really need to do before I could redeem rewards. How Much Are LifePoints Worth? So, I did have 20 points just for signing up and answering a few basic questions. But how many points do you really NEED to redeem something? How many points you need, is going to vary slightly depending on your location. In the UK, I saw I could redeem from just £3 for a Starbucks voucher for 345 points – which is the same as just under $4 in the US. So, how long would it take me to achieve this small amount!? Well, there were two surveys on my dashboard worth 50 when I signed up, (100 in total) which said they’d take 26 minutes combined to do. But it’s unlikely you’ll actually qualify to do most of the surveys – in general, I have to attempt several surveys I’m able to complete even one! This is because they’re always looking for a narrow demographic and not everyone is going to match that. It’s likely going to take you several hours of work before you will have enough to even cash out the lowest value gift card! That so often, you’ll try them and answer several questions, only to be thrown off and told that you don’t qualify for this one and are screened out. This could happen several times in a row and it’s going to be why so many people just give up with it. 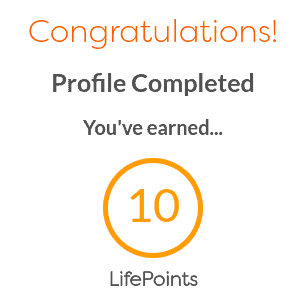 When I tried the first survey with LifePoints, I was expecting I wouldn’t make it through to the end…. I was chucked off after spending a minute or two answering some qualifying questions. It told me it would take 25 minutes when I actually went into it! One good thing to note was….. They DO give you points if you don’t qualify. It’s only 2 points, but at least there is some sort of compensation. Over the next couple of days, it seemed that every survey would say one time on the dashboard, but another amount of time when you went into it. I may have just been lucky, I have experienced FAR worse with some sites. Fed Up Of Not Qualifying?! Try This Unique Panel! There are a bunch of complaints recently for LifePoints. Since they’ve only recently merged with other companies, perhaps this is something that will improve over time. On surveypolice.com – LifePoints has only 1 star and 37 reviews. There seem to be a lot of complaints since mySurvey and Global Test Market merged with LifePoints. This includes complaints that you earn less for surveys overall, poor customer service, regular screening out from surveys and having to wait a long time for points redeemed to show. On Trustpilot, there are other 1 point reviews in the Global Test Market review section, which talk about issues they’ve faced since switching to LifePoints…. Much of this negative feedback is very recent, so hopefully they will iron out some of these problems. Despite some of the negative recent reviews, LifePoints is still a legitimate survey panel, it’s just not one of the best reward sites in my opinion. Surveys tend to be on the shorter side. I hear 10 minutes is common. I’ve seen surveys ranging from 7-15, although they often say they’re more once you click through. Surveys were available right away. Attractive and clean design, which is easy to navigate. Many different gift card options. You earn points even if you don’t qualify for the survey. The time the survey says, isn’t always how long it really is. Complaints of poor customer service. It will take a lot of time and effort to make a very small amount of money. Expect to be screened out/not qualify often. You can answer questions for several minutes, prior to getting screened out. Is LifePoints Worth It? Concluding Thoughts! Despite some of the negative feedback, I’ve so found far found LifePoints to be OK. There have been surveys available each time I’ve logged in and so far, I’ve qualified for around half. But is it really worth your time? Well, it’s not going to easily make you extra money at all. So, if you’re looking for a way to make extra cash, this isn’t really going to help much. But as a platform goes, it’s a good design and I have still quite enjoyed my time on it. Beyond Survey Panels – Earning More! If you’re fed up of spending hours on surveys, just to make the odd extra $10 here and there, there are many other options! However, to make more like hundreds, or thousands of dollars online – it will take a lot more sustained effort over time. As in, in some cases you could go for months not making anything – but if you stick with it, it will reward you far more. For example; I make money online from paid advertising on my blog and affiliate sales, from recommending products and services. If you want to learn how to get started yourself, I recommend you check out this free training first! It’s personally where I learnt how to make money from a simple website, (I had zero clue prior to that). So, that concludes my LifePoints review – if you want to share your own experience, feel free below!